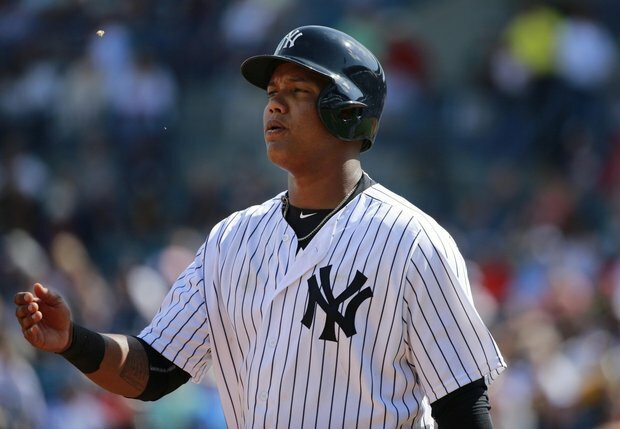 It appears as though the curtain is starting to come down on the New York Yankees’ playoff chances for 2016. The team has dropped the first two games after the All-Star Break to the Boston Red Sox, one of the many clubs they are pursuing. Most people feel that if this losing continues, the team should begin to explore trade options for certain veterans. One of the names mentioned has been closer Aroldis Chapman. However, in reading Fox Sports’ Ken Rosenthal column from Friday, the opposite could happen. The possibility may exist that the Yankees actually sign Chapman to a contract extension. One possibility that the Yankees are considering if they stay competitive, according to major-league sources: Signing potential free-agent closer Aroldis Chapman to an extension. The team has yet to initiate any such discussions, sources say, and retains the option of trading Chapman and then re-signing him in the offseason without losing a draft pick. Notes he uses the term, “if they stay competitive”. Well, what if they do fall out of the playoff race completely? What if they extend Chapman and instead trade Dellin Betances and/or Andrew Miller? Think about it, of those three relievers, which is the one that is likeliest to bring back the smallest return? That would be Chapman, who will be a free agent after the season. Miller is club controlled for the next two seasons at a reasonable $9 million dollar per year while Betances will be just entering his first year of arbitration. 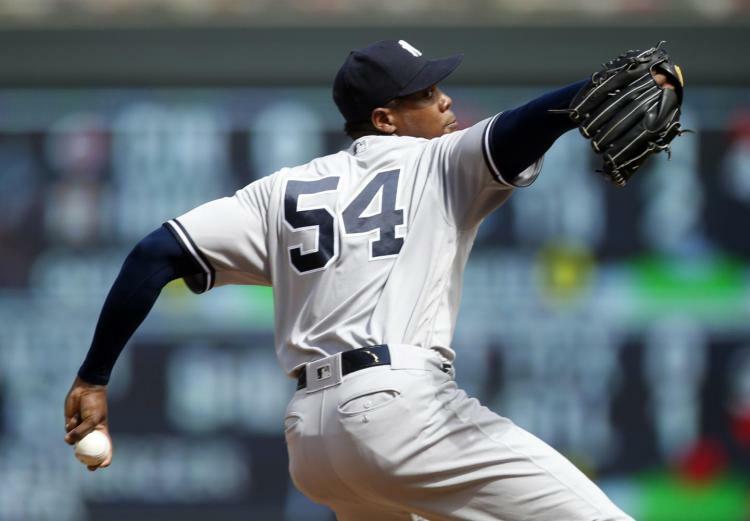 Money will not be an issue in extending Chapman; the contracts of Mark Teixeira and Carlos Beltran will be coming off the books, a savings of roughly $35 million dollars. Re-signing Chapman will allow the club to continue to pursue what they have been doing for the last two seasons: rebuild while trying to stay competitive. If the Yanks trade Betances or Miller and extend Chapman, their bullpen will remain a strength for 2017 and their haul for the reliever dealt will most likely be a young player that is just about or already is Major League-ready. As long as the Yanks continue their slide over the next couple of weeks, speculation will run rampant about what they will be looking to trade. Sometimes the obvious isn’t so obvious. The thought of signing Chapman to a new deal never crossed my mind until reading Rosenthal’s column. The thought seems a little crazy but if the Yankees are intent on contending in 2017, it actually makes sense. Welcome to life after the All-Star Break where we separate the pretenders from the contenders. At 47-41, the New York Mets, the defending National League Champions, are hardly pretenders but things lately haven’t been making them feel like contenders, either. Injuries have wrecked both the high-maintenance rotation and the powerful but sometimes futile lineup. Sitting tied for second place in both the National League East and the second Wild Card, the Mets coming out of the break do not have a situation as dire as their neighbors in the Bronx. However, their play and their walking wounded are not inspiring much confidence in the fanbase. With nine games on the road to start this second half, New York has to keep their heads above water until their injured players begin (or if?) to return to full health. The Mets kick off this next phase of the season in Philadelphia against the Phillies. After going through a stretch in which they won only six games out of 30, Philadelphia has managed to right the ship a little, entering the break only six games under .500. This, for a team that was expected to lose close to 100 games this year. 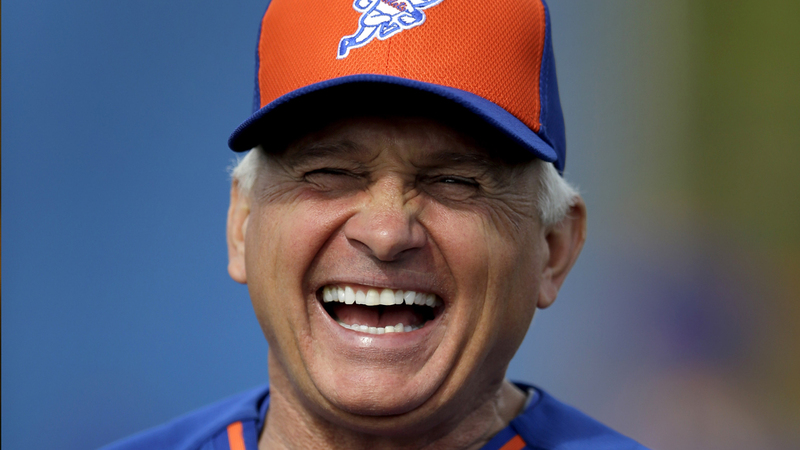 The Mets are only 3-3 against the Phils but have pummeled them at Citizens Bank Park the last couple of seasons. Two out three to start the second half is the way to go. Next, the Mets travel to Chicago for three games against the revenge-seeking Cubs. All New York has done is beat the Cubbies eight straight games and Chicago is 2-8 over their last ten contests. Win at least one game in Chicago and look to meet up with them down the line. Finally, it’s three games in the Fish Tank as the Amazins travel to play the Miami Marlins. This is the team New York is tied with in the playoff standings and are 5-4 against so far this season. The Mets took two out of three from them earlier this month at Citi Field. This isn’t a make or break road trip for the Mets. However, they can’t lay a total egg and go 2-7 or 3-6. A game under or over .500 will show that despite all of their misfortune, this team can still be a threat down the stretch. After this, the schedule becomes a bit more manageable. The Mets will have 12 games against the bottom three teams in the National League West, all of whom are at least eight games under .500. Nine of those contests are at home and the three road games are in Arizona where the Diamondbacks are an awful 15-32 at Chase Field. The Mets should go 9-3 against those three teams and their outlook on the rest of the season will be much better. However, let’s get through these nine games first. 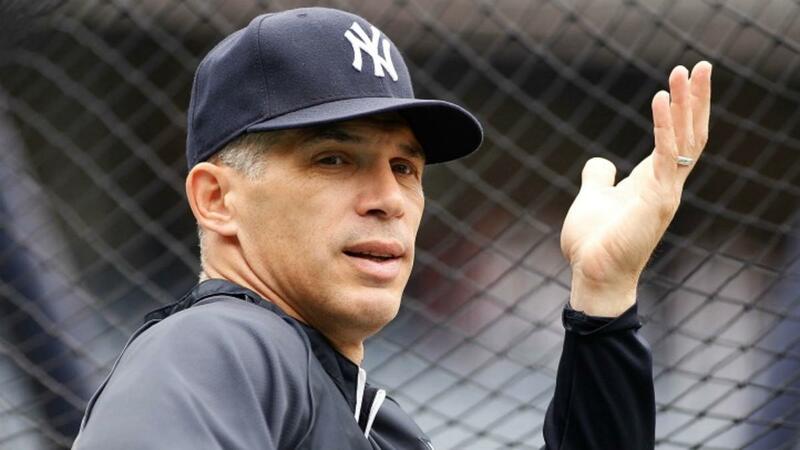 New York Yankees: Unlucky 13 Out of the Break? 13 games. 13 days. Four teams. These next 13 days will pretty much determine the season for the New York Yankees. The Bronx Bombers begin play on Friday with a record of 44-44, mark that never strays too far from break-even. They are in fourth place in the American League East, 7 1/2 games behind the Baltimore Orioles. As far as the Wild Card goes, the club is 5 1/2 games out of the second spot, however they have to leapfrog over five teams to get there. If the Yanks are indeed a playoff team, they can’t afford to go 7-6 over these next 13 games. That’s not good enough anymore. Straddling .500 just doesn’t cut it. At a minimum, New York needs an 8-5 stretch, not an easy feat considering the caliber of competition this team will be playing. At least the Yanks have the luxury of playing the first ten contests at home where they are 23-18. Up first are the Boston Red Sox who, despite making some big headlines in the offseason with the acquisitions of David Price and Craig Kimbrel, aren’t done tinkering. Over the last two weeks, the Sox have swung deals for Aaron Hill, Drew Pomeranz and Brad Ziegler, the latter a reaction to the knee injury that will keep Kimbrel on the shelf for at least three weeks. The Yanks are 2-4 against the Red Sox, with their last meeting taking place at the beginning of May. After the weekend is complete, the Orioles come to town for four games. Baltimore struggled a bit going into the All-Star Break with a 4-6 mark over their last ten games, winning their final two contests. The big bats of the Orioles’ offense will be on full display so the Bomber offense needs to bring their “A” game. The O’s have taken the first four of six games between the two teams. The San Francisco Giants are next up on the docket, sporting the Majors’ best record at 57-33. With three World Series titles over the last six seasons, the Giants just might be the sport’s best-run organization. After departing New York, the Yankees land in Houston to play the Astros, one of the hottest teams in the league. After a disastrous April, which included dropping two of three games at the Stadium, Houston is 41-24 since May 1st, putting them within striking distance of both the division and the Wild Card. As you can see, the Yankees have their work cut out for them over the next two weeks. Had the Yankees began the season at .50o, their favorite number, they wouldn’t be in such must-win situations at this point in the season. They finished April at 8-14 and are 36-30 since then: 16-13 in May, 15-12 in June and 5-5 so far in July. They dug themselves a hole early and it doesn’t seem as though they can completely dig themselves out of it. That is why these next set of games are so crucial. With so many teams in front of them, average ball will not get it done. A 6-7 or a 7-6 record should give management the green light to begin exploring the trade market to sell. Pay attention to the next two weeks as it will most likely decide the fate of the 2016 New York Yankees. With the All-Star Game now history and an extra day without baseball, now is the perfect time to review exactly how my prognostication skills are. Before the 2016 season began, I declared that the New York Mets would repeat as National League Champions by winning 94 games. Click here if you would like to read the preview in its entirety. I also made predictions on five Mets’ players and how they would fare in the upcoming campaign. In preparation for this post, I patted myself on the back for one of them and felt sick while looking at another. Which means I am no better or worse than any expert who actually does this for a living. 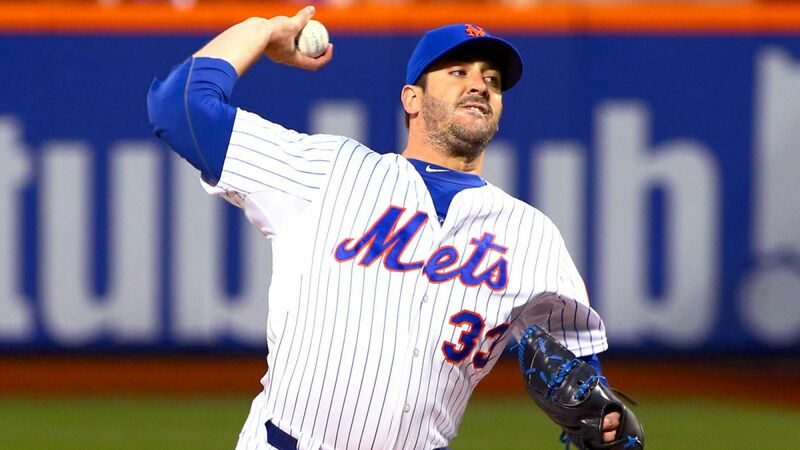 1-Matt Harvey will have a monster season. Could I have been any more wrong? Or am I just a jinx? To me, all signs pointed to Harvey being a Cy Young contender. He had another year removed from Tommy John surgery and seemed primed to continue his ascension into being one of the top pitchers in the game. 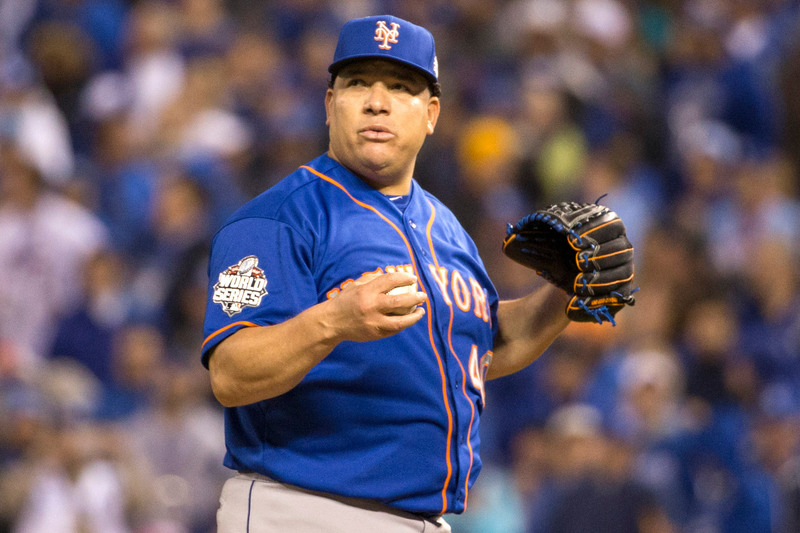 Instead, he is now done for the season and Mets’ fans are becoming increasingly disenchanted with him. What kind of Harvey will we see in 2017? Don’t ask me because my first go-around on making a declaration on him was a disaster. 2-David Wright will play in no more than 100 games. Sadly, this is true. Even worse, this is something that is not going to get better. In fact, you can make the argument that we may not see Wright in a uniform again. First, it was spinal stenosis last year, a condition that is not going away. This year, it was surgery on a herniated disk in his neck. That is a lot to overcome for a normal person, never mind a 33-year old professional athlete. 3-The Neil Walker you saw in Pittsburgh will be the same Neil Walker you see in New York. With 15 home runs, he is on pace to best his career-high which is 23, set in 2014. The batting average of .254 and on-base percentage of .323 are slightly below his overall numbers in Pittsburgh. His defense is just as steady and his clubhouse presence will be needed now more than ever with the rash of injuries to the Mets. The number you worry about is 37 as in the amount of RBI’s he currently has. Like most of the Met hitters, Walker seems to be in the business of solo home runs and the run production for these Met hitters outside of the long ball is almost nothing. Walker and the rest of the crew will have to turn this around in the second half. 4-Steven Matz will not make 20 starts in the Majors. With 16 outings already, it appears as though the rookie will exceed that number. However, he is pitching with chips in his elbow, a condition which will require surgery at some point. Hopefully for the team and the player, that time doesn’t come until the offseason. Matz hit a rough patch once it was revealed what he was dealing with but has rebounded nicely in his last two outings. 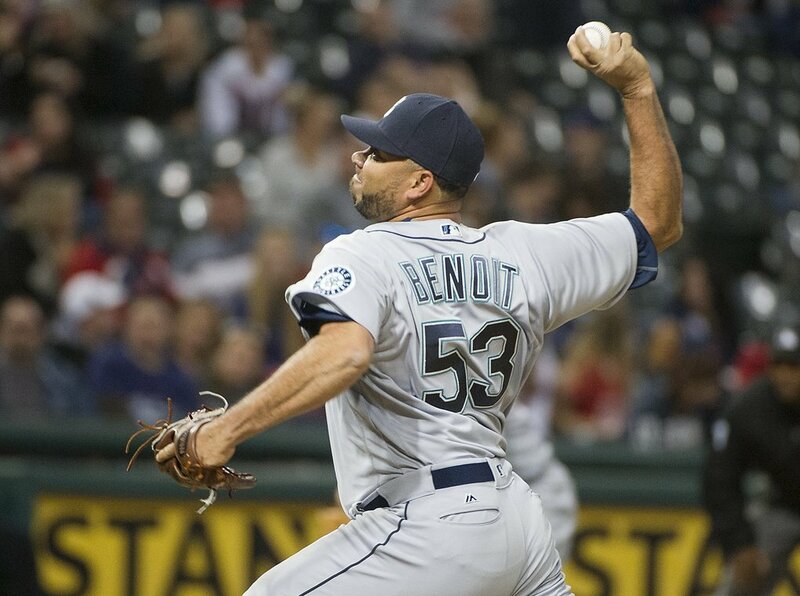 Against the division rival Miami Marlins and Washington Nationals, he allowed only five earned runs in 14 innings, albeit both in losing efforts. Still, you can’t help but wonder if the first time Matz struggles will it be a sign that his season ends early? Is there any way Cespedes could have kept up with that monster pace he established during his first 50 games in New York? With 21 home runs, he is on pace to match or exceed the 35 he hit last year combined with the Mets and Detroit. His average is above .300 and his on-base percentage sits at .372. However, his injury right before the break calls into question how healthy will he be once play resumes. If Cespedes is out for any length of time, then the Mets will not have much of a chance to defend their National League crown. Then the next hurdle will be to determine whether or not he opts out of his contract after the season. That’s a prediction for another day. With the All-Star Game now history and an extra day without baseball, now is the perfect time to review exactly how my prognostication skills are. Before the 2016 season began, I declared that the New York Yankees would win 84 games, finish in third place and fight for a Wild Card spot until the last week of the season. Click here if you would like to read the preview in its entirety. I also made predictions on five Yankees’ players and how they would fare in the upcoming campaign. In preparation for this post, I patted myself on the back for one of them and cringed while looking at another. Which means I am no better or worse than any expert who actually does this for a living. 1-Didi Gregorius will be even better in Year Two. Is he ever. A career .250 hitter coming into the season, the 26-year old Gregorius is batting .298 and is playing his usual All-Star caliber defense at shortstop. He already has set a career-high in home runs with 11 and with the short right field in Yankee Stadium, 20 is not out of the question. He was one of the team’s hottest hitters coming into the break with ten hits in his previous 29 at-bats and hitting .350 in his previous 30 games. It wasn’t easy replacing Derek Jeter but Gregorius is making a mark of his own in New York. 2-There will be no repeat performance from Alex Rodriguez. This was kind of an easy one to make considering how much Rodriguez cooled down in the second half of 2015. Despite hitting only .220, he does have eight home runs in 186 at-bats, putting him on pace for 15 or 16 by season’s end, not terrible for a 40-year old player. He is now even taking ground balls at first base in attempt at getting him more playing time and, hopefully, more production. I think his average will rise slightly in the second half to about .230 with 14 home runs. Not the numbers of a $25 million dollar player but not the worst player in baseball, either. 3-Masahiro Tanaka will win 16 or more games. With a record of 6-2 and 18 starts under his belt, Tanaka would have to go about 10-2 in order for this to happen. That appears unlikely but it is not out of the realm of possibility. He has pitched well this year, sporting a 3.23 ERA and a solid 1.11 WHIP (Walks plus Hits per Innings Pitched) in 117 innings pitched. Of course, the concern with him is can he hold up and actually make 30 starts? He hasn’t during his first two campaigns in New York though that number had risen from 20 in 2014 to 24 last year. 16 is a lot to ask for at this point but as the old Lottery slogan states, “Hey, you never know”. 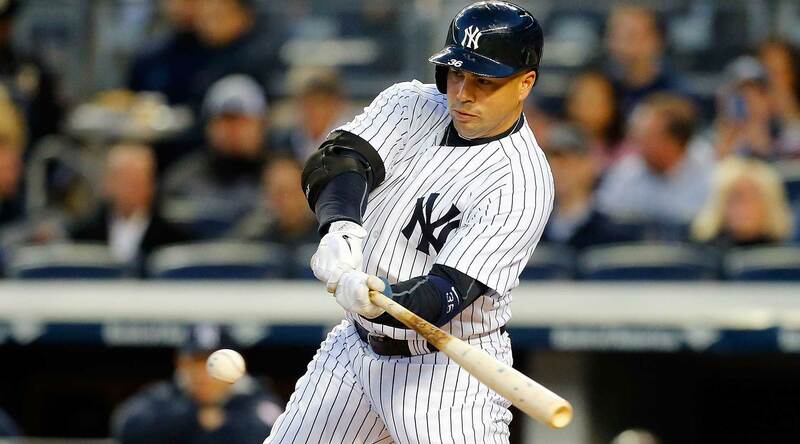 4-Carlos Beltran will not play in more than 105 games. Not only has he on pace to play more than 105 games (83 so far), he is the Yanks’ MVP. The All-Star leads the Bombers in just about every major offensive category including home runs with 19 and RBI’s with 56. When the talk begins to turn of the Yankees selling parts if they fall out of the race, Beltran’s name is one of the first to come up. At 39, he doesn’t show any signs of slowing down and could probably play at least one more season. Even if he finishes 2016 in New York, we probably won’t see Betran in a Yankee uniform in 2017. His three-year deal signed prior to the 2014 season was a good one for the organization. 5-Mark Teixeira will be the Yankees’ Most Valuable Player. Oh boy. I don’t there is much more to write other than I was hopelessly wrong. Maybe I meant he would be the team’s MVP in the second half? Ugh. There are still 74 games left in the season to make me a genius. Come on, Tex! Do not be deceived by the headline. I am not implying that Wilmer Flores has become this dynamite player for the New York Mets in the mold of Ben Zobrist. You remember Zobrist, don’t you? He was the object of the Mets’ affection in the offseason, so much so that manager Terry Collins (reported by Maria Guadado of NJ.com) texted Zobrist the following message: “We want you”. Eventually, he signed a four-year deal with the Chicago Cubs, leaving New York without a player that can match his skill set. Enter the not once-but-twice jilted Flores. The much-quoted story about the 24-year old Flores is that he has an excellent bat but isn’t sound enough defensively to hold down any one spot. However, in today’s game of baseball, that is not necessarily a bad thing. As long as you can hit and at least be competent in the field, you will have a spot in the Majors. As teams increasingly carry more pitchers, inevitably, benches are becoming more thin. If a club has a guy who can play three or even four positions, the less there is a need to have more than three or four players in reserve. It’s how Zobrist, at age 35, secured a contract valued at $15 million dollars a per year. Again, I am not trying to put Flores in the class of Zobrist. Very few players are like him, a player who has tremendous plate discipline and who can play defense at multiple spots. However, Flores has seen time at every spot in the infield in 2016 and hasn’t hurt his team defensively. His bat remains live, as evidenced by his recent stretch of five home runs in five games, despite the constant state of flux regarding where exactly he should play. From a personal standpoint, Flores can increase his market value by showing the rest of the Majors that he can play multiple positions while producing at the dish. The one big drawback for Flores is that he swings from the right side. Left-handed pitchers are a scarce commodity, leaving him on the bench while guys such as Neil Walker, Asdrubal Cabrera and now Jose Reyes get the bulk of the playing time in the infield. Perhaps if James Loney begins to struggle a platoon at first base could develop with Flores even when Lucas Duda returns. Perhaps Flores would be better served to learn an outfield position given the struggles of Alejandro De Aza who most certainly will not be back in Queens next year. Once upon a time, players such as Flores could succeed at a position for a short amount of time but can’t stay there for an extended stretch, such as three months. 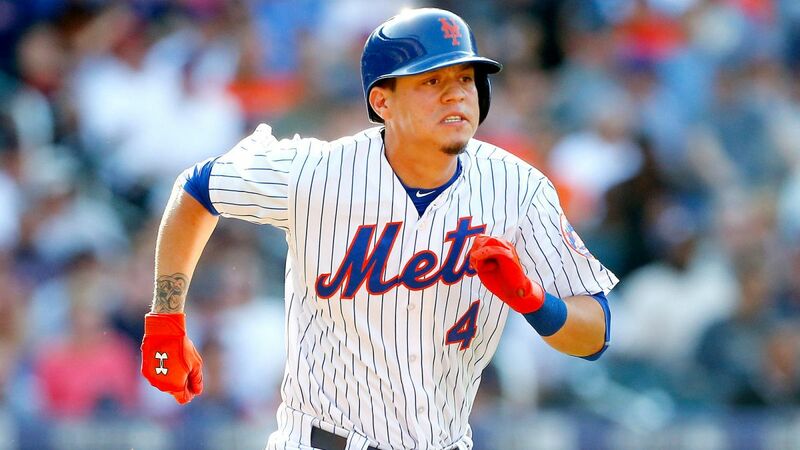 Today, versatility is king and if Wilmer Flores wants to take his game to the next level as a Major League player, it’s best to do that by playing all over the diamond. The New York Yankees wrap up the first of the season by taking a tour of the American League Central. They just finished a disappointing series in Chicago, dropping two out of three games against the White Sox. At 41-43, they conclude their Midwest swing by visiting the club who had one of the hottest stretches in recent memory, the Cleveland Indians. At 51-33, the Tribe has built a nice 6 1/2 game lead in the division, thanks to that recently-concluded 14-game winning streak. The Indians will be sending two players to the All-Star Game in San Diego. The first is right-handed pitcher Danny Salazar, whom the Yanks are scheduled to face Saturday. His 2.36 ERA is tops in the American League and fourth in all of baseball. He owns a record of 10-3 and has struck out 113 batters in only 99 innings. The 26-year old Salazar is also holding opposing hitters to a .195 average and sports a WHIP (Walks plus Hits per Innings Pitched) of 1.14. The other player representing Cleveland on Tuesday is shortstop Francisco Lindor. He leads the club in runs scored with 54 and hits with 96 while placing second on the team in hitting at .299 and on-base percentage at .355. He is also an A+ defender for his work in the field.The 22-year old Lindor, who was the eighth overall selection in the 2011 Draft, is one of the building blocks of this current Indians’ regime, one who should be locked up to a multiyear extension before his arbitration-eligible years are complete. Much has been made of the rotations of the New York Mets and Chicago Cubs but Cleveland’s starting five doesn’t have to take a back seat to either team’s staff. In addition to Salazar, right-hander Trevor Bauer, who pitches the opening game of the series, seems to have figured it out. The third pick in the 2011 Draft (selected by the Arizona Diamondbacks), is 7-2 with a 3.02 ERA. During the Indians’ 19 inning marathon win last Friday in Toronto, it was Bauer that pitched the final five shutout frames to earn the victory. He is 4-0 with a 1.81 ERA over his last seven appearances. 2014 Cy Young Award winner Corey Kluber has had an up-and-down campaign with a 3.79 ERA, the highest in the rotation but he leads the team in strikeouts with 114 and WHIP at 1.04, fourth in the American League. He will be pitching on Friday. On Sunday, the Yanks face perhaps Cleveland’s hottest pitcher, Carlos Carrasco. Over his last three starts, a span covering 22 1/3 innings, the 29-year old Carrasco has given up just two earned runs. At the dish, Carlos Santana is the power guy of the Tribe. He leads the club in home runs with 19 and slugging percentage at .487. Offseason signing Mike Napoli has helped a club in need of both offense and veteran experience, leading the Indians in RBI’s with 56. Third baseman Jose Ramirez has been quite the surprise in his first year of extended playing time. He tops all Indians’ hitters with a .300 average, a .360 OBP and 21 doubles. Keep an eye on rookie center fielder Tyler Naquin. The 15th selection in the 2012 Draft, Naquin has five triples, tops on the team and was named American League Rookie of the Month for June. He hit .338 with a .434 OBP, slugging six home runs and driving home 15 runs. The Indians also will get a potent bat after the break. Outfielder Michael Brantley, out since mid-May with a shoulder injury, took batting practice earlier this week and hopes to return by the end of the month. One item of note that should pique Yankees’ fans interest. Joba Chamberlain was designated for assignment by Cleveland on Tuesday. The former Bombers’ phenom had pitched in only 10 games since May 11th and 20 for the entire season. On April 24th, I took my oldest son to see the New York Yankees play the Tampa Bay Rays at the Stadium, one of the boy’s Christmas presents. Michael Pineda was the starting pitcher and five times that day did Rays’ hitters hit the ball where Santa Claus and his reindeer patrol the skies. The next day, I wrote that Pineda was pitching his way off the Yankees with a series of dismal performances that continued during the early part of the season. Since then, I have come around to the idea that dumping the big right-hander may not be such a good move after all. I am open to the idea of keeping Michael Pineda around for the long haul. Sure, there is still much work to be done by him. His ERA remains over 5.oo. However, I am starting to see some signs that maybe, just maybe Pineda is developing into a quality Major League pitcher who just needed time to figure out stuff alone just doesn’t cut it. Take yesterday’s outing against the Texas Rangers. Shin-Soo Choo led off the game with a home run. Most times, you can picture Pineda slumping his shoulders with the crowd in the Stadium thinking, “here we go again”. But it didn’t happen. Instead, Pineda rebounded to strike out a season-high 12 batters over six innings, allowing just that Choo home run and one other hit to keep New York in a game they would eventually win. In actuality, that performance just re-enforced my idea that Pineda is a guy in a rotation you can have if you plan on being on a contending team. His ERA has been lowered by over 1.5 runs since the end of May. The injury concerns that have plagued him over the course of his career are slowly disappearing. After making 27 starts and throwing 160 innings last year, Pineda is on track to start 30 games for the first time in his career. His control remains outstanding with only 23 walks and 108 strikeouts in 89 1/3 innings. This is why the Yankees send hm out to the mound every fifth day even if there were times when I shuttered at the thought of Pineda being hit all over the ballpark. Remember, he is still only 27 years old. Pitchers develop differently; not everyone has it figured out by age 24. Perhaps over the last month he has found a way to be a Major League pitcher instead of a Major League thrower. 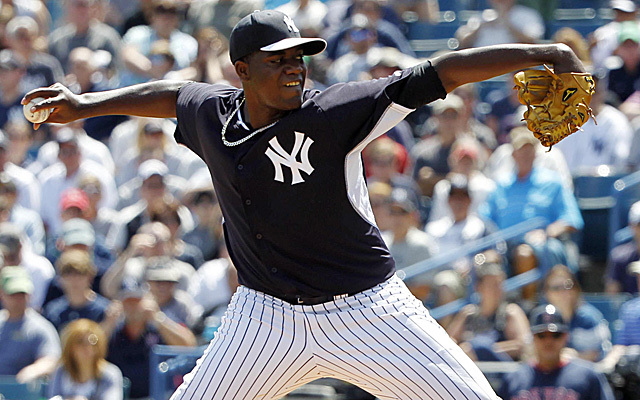 Pineda is due to become a free agent after next season. I am not saying he needs to be locked up to a contract extension now but the idea of him remaining in a Yankee uniform beyond 2017 is intriguing. So what if he never develops into an ace? Dominant number one starters are very hard to find. If all Pineda remains is a guy who wins 12-15 games while averaging 180-200 innings per season, then so be it. Pitchers like him help win championships. Given all the all the adversity he has been through during the course of his career, I am rooting hard for Michael Pineda each time he takes the mound. I am rooting for him to remain a Yankee. Monday began the most important stretch of the season for the New York Mets. They started the first of two series with the first place Washington Nationals leading into the All Star break. Well, things did not go as planned as the bad news mounted both on and off the field. New York was swept by the Nats, dropping them to 40-37, in third place and six games behind first place Washington in the National League East. To make matters worse, concerns are mounting about the health of Noah Syndergaard and Steven Matz. They now return to Citi Field to play the team with the best record in the National League, the Chicago Cubs. The Cubbies sit at atop the National League Central with a mark of 51-26, 11 games ahead of the St. Louis Cardinals. They recently endured their own tough stretch, losing six out of seven games prior to the start of this week. Chicago righted themselves by heading into Cincinnati and sweeping the Reds. That left their record in June at an ordinary 16-11 after a near-historic 35-15 run during the first two months of the season. It is safe to say the team has wrapped up their division and is now prepping themselves for another deep playoff run. The offense was and remains outstanding. Ben Zobrist, the object of the Mets’ affection this offseason, has ten home runs and 42 RBI’s and ranks sixth in the Majors with a .409 on-base percentage. First baseman Anthony Rizzo is right behind Zobrist with a .407 OBP and is tied for the team lead in RBI’s with 58. The other guy with 58 RBI’s is third baseman Kris Bryant whose 21 home runs is tied for third among all hitters and his 61 runs scored ranks fourth. Bryant is coming off a historic game on Monday in which he became the first player to hit three home runs and stroke five doubles in one game. Just imagine how much better this offense would be if Jason Heyward wasn’t hitting .235. The Mets will not see Dexter Fowler and his .398 OBP as he is on the disabled list with a hamstring injury. The Cubs are not just all about offense. Their one-two combination of Jake Arrieta and Jon Lester just might be the best duo in the game right now. Believe it or not, Lester actually has the better ERA at 2.03. He has dominated in six June starts with a record of 4-0 and a 1.41 ERA. Arrieta sports a fine 2.10 ERA but has been hittable as of late. Four of his last seven outings have resulted in him going only five innings and not having the same type of dominance we saw earlier in the year. The rest of the rotation has been outstanding as Jason Hammel and Kyle Hendricks have ERA’s of 2.58 and 2.76, respectively while John Lackey is the “slacker” at 3.29. There will be speculation that the Cubs will upgrade their bullpen but the crew led by Hector Rondon has been terrific. Each man, with the exception of Justin Grimm, have been allowing less than three runs per game. With the Mets reeling, this is Chicago’s chance to at least get a little bit of revenge for last year’s NLCS demolition. While they may not leave New York burying the Mets, they sure can begin the process of shoveling. If the Cubs manage to take three of four games, the Amazins’ season will be officially be in turmoil, if it is not already. If the Mets can get off the deck and actually win this series, then consider their season salvaged. These teams will meet for the last time this season at Wrigley Field from July 18th-July 20.